An ox is any bovine used as a draught animal. Usually an ox is a castrated male cow. For more, see Gone Are The Days that the Ox Fall Down. Raising livestock or relying on hunting and gathering in marginal, arid lands is a typical historical pattern; a vegetarian diet is often not possible or sustainable. In fact, for many of the poor people I knew growing up in rural Virginia, a flock of chickens, a cow and a pig or two made the difference between going hungry or not. 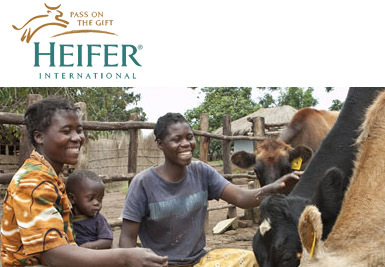 The charity Heifer International realizes this basic fact about the importance of animals in household food security and is why they focus their efforts so extensively on helping people in Third World countries obtain livestock. Deforestation for an oil palm plantation in Cameroon. Photo courtesy of Greenpeace. When I finally arrived at the park, I hiked for two days through a dense tangle of vegetation with the sounds of hooting monkeys and the calls of hundreds of different birds, with elephants and rhinos, butterflies and bats. Abruptly, this glorious symphony of life was transformed into an eerie silence and sameness as I stepped across a straight line into row upon row of perfectly spaced palm oil trees as far as I could see. The rainforest – home to so many thousands of plant and animal species – had been destroyed on one side to grow tea, and on the other to grow palm oil. In that same moment of horror, I felt a small sense of relief that at least I was not eating palm oil –at least, I thought I wasn’t. But palm oil and tea are not the only plant-based foods I found that destroy rainforest and animals. Working in a raw foods bar in downtown Seattle, I served fantastic smoothies that seemed to be the ultimate pure and clean food. Then while sipping a pineapple-banana smoothie, I had a flashback to walking from the rainforest into the deadened sameness of that palm oil plantation. Suddenly it dawned on me that pineapples, bananas, and coconuts might be grown in the same way as palm oil—in massive monocrops in the tropics where animals were eradicated and irreplaceable ecosystems were destroyed to make room for these domesticated fruits. Here I was in a vegan restaurant, eating what I assumed to be ethically pure food—only to discover that I was supporting a system of agriculture that had devastated some of the most vital ecosystems in the world. I found out that in the Philippines, Dole Corporation converts rainforest into fruit plantations by leasing the ancestral land of indigenous people from the government for a pittance.Removed from their forest, with no place to hunt and gather, they’re forced to work for the plantations, facing exposure to pesticides, chemical contamination in the water, and poverty-level wages. Despite these human rights abuses, nobody I knew had a diet that revolved around shunning banana bread or pineapple upside-down cake — only meat. I should have known: crops grown here in the US also alter landscapes, replacing wild animals and their ecosystems with acres and acres of foods that I ate without question as a vegetarian. Certainly I knew that raising cattle in fragile desert ecosystems in the southwest was a bad idea, but I’d never thought that this might also be the case for fruits, vegetables, and nuts. I’d never heard of anyone protesting almonds or fruit salad—the only controversy was over eating meat. I also watched this farmer move massive piles of composted turkey litter into rows to plant spring crops, and realized that the waste of factory farms—the turkey feces, bones, feathers, and even carcasses—would be the basis of our vegetables. He didn’t have any farm animals to make manure, and cover crops were not enough to improve the clay soil’s friability and fertility, so turkey litter was his only option. I knew that many vegetarians came to his market stall to buy the beautiful red tomatoes, green peppers, and yellow squash, but with no meat wrapped in cellophane, there was nothing to show that the vegetables had been turkeys. These and other experiences revealed to me that attempting to escape death in eating was a futile goal – the ultimate animal lover’s dilemma. I came to the sobering and humbling conclusion that I was dependent on other life, including animals, no matter what I ate. Since that first year, we have sought to give our animals not just humane treatment, but a joyful life. 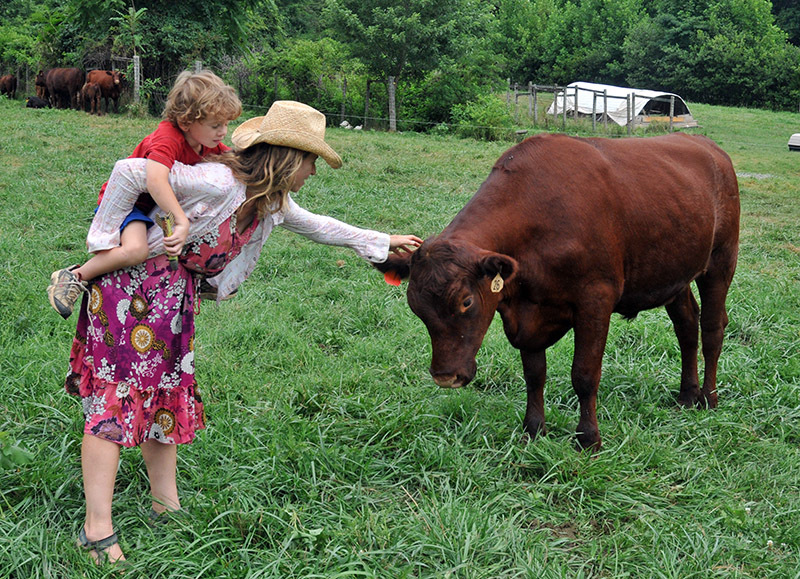 We name each cow to remind us that we are working with an individual and taking a life to sustain our own. Grandmother, mother, and daughter cows graze side by side, year after year—a basic pleasure denied even to pets and we never lock our cows in cages all day like dogs in crates. 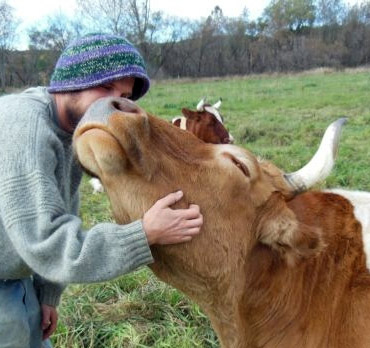 We hug and scratch them and have taught them to follow us to new pastures with a simple call. When the males are slaughtered, they feed hundreds of people in our community that might have otherwise bought food from factory farms and before any animals are slaughtered, we pause to thank them for their gift of life. Once again, surrounded by nature, I see life fold into death and death fold back into life and I no longer fear it. I’m simply grateful to be a conscious part of it. Shortly after Nova turned twenty, I found her stuck in the mud, her old frail body unable to cross a shallow creek. For two days, my neighbor and I tried to get her out, propping her up with hay bales and pulling her with ropes tied to the truck. Finally, we had to admit she would not survive even if we got her out. Nova taught me that cows were never meant to get old—and an instantaneous death from a bullet is sometimes a whole lot more humane than this alternative. This entry was posted in Agriculture, Food, Industrial Agriculture and tagged animal traction, deforestation, veganism, Vegetarianism. Bookmark the permalink. Well put. And furthermore: while eating migrant-worker-produced vegetables promotes mistreatment of migrants, eating a euthanized ox doesn’t promote mistreatment of oxen. The only losers are the worms and soil bacteria that eat the carcass if people don’t. Excellent post. I really appreciate your position on the global food system! I am so sick of the word ‘factory farms’. I know plenty large farms where the dairy cows are being very well taken care of and at the same time I have been at Organic Farms where the poor cows were unhealthy and lived in filth. That does not make me state that all organic farms mistreat their animals and are filthy, so why oh why are all large farms always thrown on one pile and talked about like they are all the same? Talk about hypocrisy, I have a small dairy goat farm myself, NOT organic, but I know every goat’s name (and usually their mom, dad, sisters, and grandparents’ names too) and they are my ‘producers’ as well as my pets. I like that. I also work as an environmental consultant for a very large dairy farm, where cows and calves are extremely well taken care of. I love walking through their barns, too and I appreciate the fact that they are able to produce affordable food for a LOT more people than I can produce for and in a very, very humane and environmentally correct manner. Pasture-based vs. confinement is a more accurate comparison than small vs. large, so I adjusted this in the blog. I maintain that CAFOs or factory farms–where animals are confined inside warehouses and cramped in excessive density, subjected to body mutilation, drugs, cannibalism, toxicity from ammonia, etc.–are inhumane; some large farms do not fit this description. CAFO food is cheaper only because all the costs are externalized. And the point has been made loud and clear — most famously by Michael Pollan, but also by many others — that much organic food production is highly industrialized. Your example of organic milk is particularly problematic, and a lot of people buy it not because they think the cows are particularly well treated but because they want to avoid rBGH. Note that Elizabeth’s Davis Creek Farm is not certified organic. In fact the great majority of humane pasture-based meat farms in this country are not certified organic. You have it right in so many ways. Thanks for opening my eyes a little wider. Thank you Elizabeth, for a truly thoughtful article that needs to be read by the world. Elizabeth writes: Thank you so much for your kind words. I thought of Carole every step of the way in writing this piece. Carole is the true global thinker. Please send my love to her. I’ve considered many of the same points in making my food choices (and, yes, I do eat animals but mostly the ones I raise and slaughter myself, and I try to raise most of my own produce as well), and I’ve been aware of the destruction of many ecosystems in order to grow coffee, palm oil, etc., but never to this extent. Thank you for a very thoughtful and enlightening article. I have shared and will share again and send the link to friends who are not on fb in the hope that it will make some difference. A fantastic article,. thank you! Hi Elizabeth!! Kojuawani?? I was also a PCV in the Senufo region of Mali! My village was near Farakala (about 30k outside of Sikasso on the road to Bamako). I loved your article and I think it’s so important to be informed about the greater global food system. It was very well-written; thanks for the inspiration! Here’s my blog on my time in Mali: http://www.goodgollymissmali.blogspot.com. Hey Chelsea, 22 years later, I still miss Mali! I I now wish PC should be more of an exchange of ideas rather than assuming 20-somethings can actually teach an ancient culture anything useful. I certainly came away with a greater understanding of life. My Malian village–who only knew of Americans through “Knots Landing” and “Dallas” from the one TV within 100 miles–got to at least meet a real American and realize at base that we’re not that much different than they are. So beautifully written – thank you for taking the time to communicate this point of view so perfectly. What a thoughtful article, Elizabeth. Thank you. I’m a philosophy and environmental studies professor at Green Mountain College. A graduate student in a course I’m teaching shared your blog today. (The course is for our M.S. in Sustainable Food Systems.) Single-issue zealotry does little to improve a warring, polarized world. As Elizabeth so compellingly shows, in our day-to-day lives we encounter diverse and often incompatible goods, and no single diet can exhaustively respond to all legitimate demands placed upon it. If our treatment of those who are vulnerable and dependent may be taken as a test for our values, then our wretched treatment of disadvantaged humans and animals has been among our greatest moral failures. Once we own up to this, there are unavoidable implications for how we farm and what we choose to eat. The main problem we all face isn’t the lack of a dietary compass; it’s that conventional dietary choices and farming methods do nothing to move us toward a more humane, just, and sustainable food system. Our College is on its way to becoming the first college or university in the U.S. with a major food service provider to eliminate animal products that are not humanely raised and slaughtered. To do this affordably will require reducing overall consumption. We may lack our protestors’ sentiment of righteousness, but by welcoming and incorporating diverse ethical perspectives, we’re laying tracks for greater human health, environmental sustainability, and dramatically improved lives for other animals. By putting high-welfare farms on the same level as a poorly managed CAFO, our protestors block the road to the transformation of livestock agriculture. Thank you Steven. I know how difficult it is to take university cafeteria food out of the industrialized food-only option, and I admire you for trying. I’m thrilled to know Green Mountain is out there helping a new generation wrestle with difficult, complex food issues. The irony is that at base, I believe the “warring parties” want the same thing–a just, sustainable and humane food system–but we can’t hear each other’s truths and thus can’t find common solutions due to the noise of our verbal machine guns. Excellent points here, well written – I agree ! Thanks for your comment. None of us are really in a position to be judging other’s food choices as none are perfect. Gosh! So much intelligence in so few words! Just great! The next time you visit the library, you might want to take a look at the two chapters on agriculture in my book What Is Sustainable. It takes a fairly different path to trying to find food that doesn’t wreck the ecosystem. Have you ever read Tree Crops? Joseph Russel Smith (1874-1966) was born in Lincoln, Virginia. He wrote a ton of books. From 1944 to 1966 he was the operator of a commercial nursery in Round Hill, VA.
read the piece, to be honest found it very naive and completely missing the point about cutting down on meat or better still cutting it out. Meat can be said to be part of the picture when used in a mixed crop rotation system, the world economy as it is run these days has driven this farming system extinct. It was a extremely efficient system, and ended up with the average diet being meat twice a week and people being a lot healthier than the present diet of meat twice a day. Meat production, outside of a mixed system is incredibly wasteful, the larger you scale up the production the more energy inefficient it becomes, compared to amount of food/ fuel that could be produced on the land in other systems. In terms of energy back compared to energy put in, The return on a factory farmed pig is only 10-15%! The unrealistically cheap price of oil allows these large scale meat production systems to make a profit. Basically the globalisation of the meat industry has been a disaster for ecosystems worldwide. 99.9% of soya grown in the Amazon ( vast tracts of forest being felled, I saw on my last trip to brazil!) is sent to factory farms, even organic pig food in the UK is made from soya from the amazon. 30% of what we fish goes to factory farms, 70% of all agricultural land is devoted to livestock production, either directly or indirectly, that’s a third of the terrestrial planet!! And when you consider we could support another 4 billion people on the planet with what we grow and feed to animals, its complete madness, when we dont need to eat it! The Amazon is disappearing because of the meat trade, but we hear nothing of it. conservation organisations worldwide will, quite rightly, talk about palm oil and orangs, but they rarely talk about meat and the Amazon, funny really that conservationists as a whole ignore the science, and you know why, telling people they should cut down on the meat they eat or cut it out, they see as an attack on their personal identity, Whereas if you say they should not buy palm oil they will say thanks for telling me I will remember that next time I am in the supermarket. As countries like India and China become rich their consumption of meat is going through the roof driving the further industrilisation of meat production. We are literally eating other species to extinction. If you consider climate change, the meat industry is the biggest contributor, and I am not just talking about methane production, others include forest destruction, huge amount of oil used in fertilizer production, large energy consumption in meat processing, vast areas of plants produced to feed livestock, vast areas of land being denied the ability to effectively store carbon,etc…etc….Changing a lot of the areas used for livestock production to carbon sinks would have immense benefits. not only in taking CO2 out of the atmosphere but from mitigating against floods and droughts that seem to be common place now. see attached. 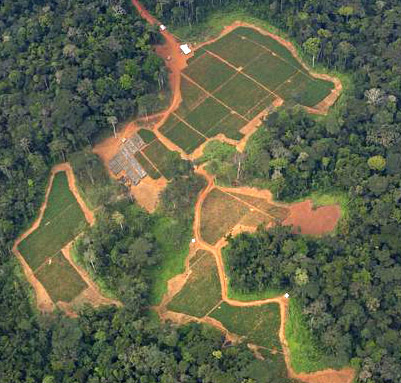 You could also produce free range livestock in these forests. Anyway, the world can not support a essentially meat focused diet anymore. On a health note a recent WHO report said that a vegetable based diet is a lot healthier in terms of risks of cancer and obesity. Organically sourced eggs and dairy products are usually, UK anyway, a symbol that the farming methods were humane, check out compassion in world farming is a great organisation. I perseonally feel if you are healthier without meat and dont need it, we should not perpetuate this dinosaur diet in developed countries. Hmm, I’m not sure who you’re arguing against as I agree with most of your points. If you read carefully, you’ll see that I’m very aware of the problems of factory farming–many of which you describe. As you yourself said, mixed crop/livestock farming was very efficient . . . exactly what Green Mountain is promoting as an alternative to factory farming, and thus why I argue that animal rights activists should bark up a different tree. I also specifically argued that Americans (and now increasingly other countries), eat too much meat and that cattle in the tropics or fragile desert lands is a bad idea, but so too are monocrop plant foods. My point was that I realized–as someone struggling with this, but with also lots of experience in different aspects of farming– that I was fooling myself by thinking that a meatless diet meant I was not causing environmental destruction and animal death. Rather than getting so polemical on either side, we need to first look at food production more flexibly in terms of the cultural, environmental and climatic context in which it occurs. Secondly, we need to see the value of pasture-based (not grain-based or confinement) livestock farming in that equation. To push for elimination of all animal agriculture–given that it is the only sustainable option in many places — is to confuse factory farming with any and all animal-based agriculture and to assume that all crops are ethically superior. I do appreciate your concern over this important issue. I agree meat eating can be a part of the equation, but only a very small part in most situations. And in those situations that do depend on it, as their human population grows, it becomes more and more unsustainable and destructive and inhumane. The world can not support it. Also as we are becoming increasingly aware of the consciousness of our fellow animals and the increase in the body of scientific evidence to support they have feelings and a greater intelligence than we previously thought, I find it hard to justify the taking of their lives just to support mine when I have absolutely no need to, in most cases meat is a luxury. a environmentally expensive one. In the not too distant future we will be able to communicate with animals, what wil they say? I think you hit the nail on the head with the comment about cheap oil. Everything we consume bears the additional cost of transport, including feed grains to livestock farmers (then meat to consumers) imposing a double burden of transportation. Chilean fruit in North America in winter? Augustus Caesar didn’t live this extravagantly! These issues will vanish when petroleum assumes its true cost, something like $10 per gallon. A saner lifestyle will unfortunately be less luxurious. Hi Dom. Thank you. This is my last comment: I agree 100% with your assessment of animals and their intelligence levels and how we have so misjudged them. Thanks to many animal researchers, we are beginning to see how we have falsely defined animal intelligence by comparing it narrowly with humans. We are on the same page on that one. I personally include all primates in the human family as well. It is interesting to note that one of the most influential people advancing public understanding of animal intelligence is animal researcher Temple Grandin. Grandin, who is austistic and feels a strong mental rapport with animals, nonetheless devotes her time to helping make industrial factory farming more humane. I would personally rather eliminate this form of animal husbandry, which provides roughly 98% of animal products in the US and is the basis of comparison for most of the anti-livestock studies (versus pasture-based that I advocate) as well as the basis of all of your complaints. However, she is very practical and feels that CAFOs aren’t going anywhere anytime soon, and she would rather not get lost in vegans’ arguments, which only represent 2% of the population. Instead, she would rather do something now to help improve these animal’s lives. I have a lot of respect for that, even if I don’t agree with whom she is working. My main point in the blog is that I discovered that I was killing animals no matter what I ate. Yes, I’m sure someone will claim they can survive off of hydroponic cabbage but in most vegetarian/vegan diets, you are killing life to eat. You can’t just eat vegetables, soy products, industrial faux meats and cheeses, nuts, grains and tropical fruits — the basis of many vegan cookbooks — and assume you aren’t killing anything just because you can’t see meat in a package. This was my naive assumption. So from this point of view, I would rather produce what can grow most sustainably on my own land — in my case, this is pasture for livestock grazing — than buy vegan foods grown halfway around the world that are potentially destroying rainforests and killing endangered wild species. There are vegetable farms in my area that rely on manure from my farm. If I plowed up my pastures, I would not only destroy topsoil and cause erosion, but release more carbon into the atmosphere than just leaving it as pasture — itself a carbon sink. A 2010 FAO report on the benefits of pasture in offsetting greenhouse gases found that in the southern US, where I live, there is greater carbon sequestration from keeping land in pasture than plowing it up for crops, so much more so that it appears to offset methane production from the livestock. Also, the food that we produce on our farm feeds hundreds of people in our area that would have otherwise bought their foods from factory farms or even foods destroying rainforests such as palm oil-laden vegan butter. How do you know that your vegetables were not once turkeys or chickens or cattle at base, like I discovered? If we really look behind a lot of vegan/vegetarian foods, there is simply an unseen death toll. It makes no sense for me to advocate a system of agriculture that requires food shipped in from hundreds or thousands of miles away, when I can produce it more sustainably and humanely locally. It is a hard pill to swallow for purists. I would rather create a humane system of animal husbandry — knowing that my environment is not the only one that should not be plowed and knowing that meat-eating is not going away any time soon — where the animals have good lives (better than most pets) and a quick death (better than they will get in the wild) and not support a system of agriculture that destroys what little wild habitat is left (either by cattle or monocrops). If people aren’t buying food from me, they may very well buy it from a South American rainforest or a factory farm or choose to eat a vegan luxury monocrop like coconut or pineapple or palm oil-laden vegan cookies. What will animals say? That is a question we both have to ask ourselves. Hey Dom, if you know anything about herd-based animals, then you can probably guess that when approaching them, the first thing they would say is… “Take him! He’s slower and fatter!” with, I suspect, a very clear conscience. And beyond that, other than “Umm, grass good.” they’d have very little to say. Not to be flippant, but there’s a reason some animals evolved to be and thrive in herds and flocks, and why animal husbandry has worked out so well for humans. I work for a ranch that produces grass-fed, grass-finished beef. We have neighbors that produce chicken, goat, lamb and pork. One thing about these very domesticated animals is that after the initial disturbance during the culling phase, the survivors don’t give a damn. They just go right on back to what ever it was they were doing before we showed up. It’s a wonderful symbiotic relationship. If these animals have any long term feelings, they’re very good at hiding them. But then, that’s evolution for ya. Dom, I encourage you to check out the methods used by Polyface Farms. You can find them online. A grass based system does not use soy, etc,, trucked in, but grows animals on grass, creating a sustainable farming system that actually improves ecosystems. It is much more environmentally friendly than mono-crop vegetable production. So much of our countries could be restored if all farms operated the way Polyface does. Great read – great points. I loved the way you described the boundary of the rainforest vs. the palm oil plantation. Nicely done. Thank you, Elizabeth. Beautiful article reflecting a life well lived. We miss you all in Nelson County. Thanks Stu! I’m counting the days! Wow. I loved this article. Well written, clear, and thorough discussion of a topic that affects everybody. I grew up a vegetarian, although I did not choose to stay a vegetarian when i could make my own food choices, I am conscious of the need to be be aware and ethical in my food choices. I loved this :”These and other experiences revealed to me that attempting to escape death in eating was a futile goal – the ultimate animal lover’s dilemma. I came to the sobering and humbling conclusion that I was dependent on other life, including animals, no matter what I ate.” So true! Thanks for sharing this article with us, and i will share it with my friends too! Thank you! I wish eating were more clear cut. Maybe one day we’ll find a way to eat without taking the life of anything, but in the mean time, we can at least shift our perspective from dominance to gratitude, which I think in and of itself, is powerful enough to make the factory farms tumble. Wonderful, thoughtful article. I’m so thankful that the movement to examine our food choices is growing. I’m also glad to see that palm oil was mentioned — I too have written an article discussing food choices in relation to palm oil. My conclusion? 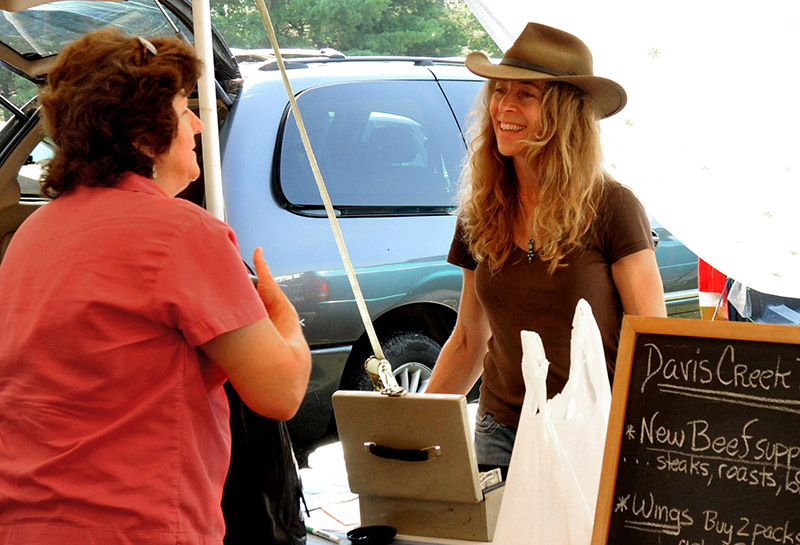 Growing your own, or procuring food from your local farmers seems to be the best way to eat more ethically all around. I don’t see a dilemma here. A lot of so-called animal rights activists don’t see the greater picture, and are the first to hop on anything that seems to oppose their ideologies. Knowing that corpse-eaters will continue to eat nonhuman animal corpses, the ox corpses should not have gone to waste, just as roadkill deer often shouldn’t. Sometimes animal rights activists fear that type of action may be sending the wrong message, but in any case, a minor blunder should not be hopped on so harshly by defenders of corpse-eating. It seems that corpse-eaters are always trying to find a tragic flaw in the arguments of animal rights supporters, and that somehow this leads to advocacy of corpse-eating, which of course is total nonsense! Also, so many animal rights activists DO protest the production of palm oil, as they should. And though minor slip-ups may occur, the goal is ultimately to minimize the amount of overall animal (both human and non) suffering. Hi Tyler, Indeed, the earth is all about corpse eating and the point is that we are ALL corpse eaters no matter our diet. In my experience, this is not the first time animal rights activists have pounced on the alternative, pasture-based livestock farms for existing at all. A writer in Grist.org suggested that vegan/animal rights activists join forces with alternative farmers against factory farming, only to be slammed by the animal rights side. On the other side of the coin, I also disagree with Joel Salatin’s anti-animal-rights comments b/c I am an animal rights activist. I’ve gone to the VA general assembly to stand in front of Smithfield and Perdue and expose their practices in front of hundreds of people and I’ve spent years educating about animal abuse in factory farms, showing PETA films (sent to me by a vegan friend) in talks. Frankly, I would have rather been a golf-club manufacturer than deal with so much controversy. Yet warring with each other when at base we all want the same thing, is not very useful for us or animals–no pouncing, just putting the issue in a different light. Yes, I too want a more sustainable, just, humane world, I’m just not convinced, as I said, that ending all animal agriculture will accomplish that. Made me cry profusely as I read this at almost 4am. Hope my vegetarian daughter will consider reading it as well. She cares about not eating meat but neglects the humans in her life as well as herself. Eeek! Thank you for reading the blog. Know that I have no intention of swaying vegetarians or vegans to eat meat, only to show that maybe eating isn’t so ethically black and white, so finding a solution to the many pressing problems in food production is not served by the extremes of factory farming on the one end or the side of veganism that criticizes all animal agriculture on the other. I tend to side with Dominic’s point of view. No matter how you slice it (pun intended), meat is less efficient than non-meat. Our world is dwindling in resources; can you justify the amount of food/water/land that animals bred for food require? Your main two arguments seem to be ‘some people need to eat animals because they can’t go crops’ and ‘factory farms are worse than small pasture ones’. For the former, that is a tiny percent of the population, or at least a tiny percent of the developed world. Poverty-stricken Mexican’s must raise chickens out of necessity, so we can all chow down happily on a steak-called-Sue-raised-as-our-own-child-and-killed-in-its-sleep-on-its-8th-birthday? For the latter, it seems a case of ‘two-wrongs-don’t-make-a-right’. Global populations have exploded. You say you’ve travelled the world. Have you seen how high-density people live? From the poor that live in slums built upon each other to the the middle-class of Tokyo that live in boxes. Yet people are still happy owning acres upon acres of land so that a few animals can be free to graze? Having said all that, I eat meat myself three times a week. I just don’t lie to myself about its effects. Enjoy it while it lasts. In the coming dystopian future, the earth will be covered in giant towers. People and food alike will live/be produced there. The protein of choice being insects. Eating beef will become nothing but a fairytale of a distant and greener past. Elizabeth may have her own response, but I have to say I’m having trouble following your point. On farms like hers, virtually no water is used: the cattle drink and piss it back out, with nutrients added. Moreover the cows eat GRASS which humans can’t eat. It doesn’t have to be fertilized or watered. They turn inedible, zero-input grass into meat and leather, which is why they were domesticated in the first place. What aspect of that is not “efficient”? In following up and adding to Glenn’s comments: There is a considerable amount of land that is not suitable for the cultivation of crops. Erosion is an important and considerable problem in many parts of the world where steep slopes should not be cultivated. However, careful grazing of these lands can contribute to our food source in a sustainable manner in lands that ought not be cultivated. steep hillsides can be degraded by grazing, and farmed carefully to minimize erosion. The key is preservation of topsoil, our most valuable and undervalued nonrenewable resource. Penelope Smith commented on her link. So monocultures are an argument against veganism, but CAFOs are not an argument against eating animals? That is ridiculous not only as a straw man argument, but also because meat eaters also drink tea and coffee, eat plants, and use biodiesel. At least vegans have cut out CAFOs. Actually she did not argue “against veganism” but she did argue (pretty irrefutably I thought) that production of plant foods kills animals and depends on dead animals. Her point was that eating is ethically messy, which your comment demonstrates: you are right that “vegans have cut out CAFO’s”, but they also cut out the pasture-based systems that are the only credible challenge to CAFOs. Indeed, the writer came to see that her eating meat didn’t really matter. But continuing not to eat meat would be just as valid, since the issue is agriculture. Vegans do try to minimize the harm that our sustenance requires, just as conscienscious meat-eaters do. Of course, it’s because more and more people have wanted to eat more and more meat that CAFOs exist, so personal choice for more environmentally friendly animal agriculture still reinforces the imperative behind CAFOs. Attributing CAFO’s to surging demand for meat doesn’t work very well. Chicken CAFO’s spread in the 1930s, cattle CAFO’s in the 1950s, hog CAFO’s in the 1970s; it’s hard to imagine cravings for chicken, beef, and pork on that schedule. Chicken confinement was driven mainly by government-sponsored research including genetic redesign of the chicken. Cattle CAFO’s were driven mainly by economic factors stemming from the superabundance of fertilizer following WW2 (bomb factories being converted to fertilizer factories). Meat consumption rose as CAFOs made meat cheaper and cheaper. For more on beef consumption and CAFO’s, see Why We Eat So Much Meat: Beef, Bombs, and Convenience. Watts, Michael J. 2004. “Are Hogs Like Chickens? Enclosure and Mechanization in Two ‘White Meat’ Filieres.” In Geographies of Commodity Chains, eds. Alex Hughes and Suzanne Reimer. 39-62. Boyd, William, and Michael Watts. 1997. “Agro-Industrial Just-in-Time: The Chicken Industry and Postwar American Capitalism.” In Globalising Food: Agrarian Questions and Global Restructuring, eds. Goodman, David and Michael Watts. London: Routledge. 192-224. Foster, John B., and Fred Magdoff. 2000. “Liebig, Marx, and the Depletion of Soil Fertility: Relevance for Today’s Agriculture.” In Hungry for Profit: The Agribusiness Threat to Farmers, Food, and the Environment, eds. Fred Magdoff, John Bellamy Foster and Frederick H. Buttel. New York: Monthly Review Press. 43-60. Although it is an interesting suggestion that CAFOs grew to consume surplus grain due to chemical agriculture, it sounds more like a chicken-or-egg situation, or a vicious cycle. In any case, the expectation of abundant and affordable meat now ensures the continuance of CAFOs. Boutique beef is as unlikely to become the norm as veganism is. Well said. I came to a similar conclusion after moving to a rural area and embarking on an attempt to grow a significant portion my own food. I am concerned with issues surrounding peak oil and related environmental destruction, and wanted to work towards a zero-mile diet of sorts, as food production and transportation accounts for a significant amount of fossil fuel use. I had been eating mostly vegetarian, but discovered that, in my area, at least, meat has to be on the plate if you are going to avoid seriously high food miles, particularly during the winter. Is is better to kill and eat chickens that are humanely raised in your own backyard in order to avoid soy/coconut/vegetable products that were conventionally (chemically) or even organically grown thousands of miles away? I don’t know…I really don’t, and I can’t answer that for anyone but me. I do feel that, for us, it is an appropriate choice. Yes it’s true that animals die due to our consumption choices, whether one is a dietary omnivore, vegetarian, vegan or even fruitarian. However, where I think this article could be misleading for some readers is that it neglects to mention that meat-eaters still eat a hell of a lot of plant products and in most cases probably consume 90% or so of the same crops that tend to be grown in monocultures. The difference is that meat-eaters also consume animals that have likely consumed a great deal more monocrops on top of this (or even simple grass/hay from pastures which were once animal habitats), owing to the energy loss at each trophic level from primary producer (plant) -> herbiover -> omni/carnivore. The calculus of each individual’s impact on the animals and ecosystems from which their food is produced is obviously unique and there is no “one size fits all” solution. Inuits and Tibetans aside, there is very little stopping someone from choosing what is probably the optimal path, which for most geographical regions is probably consuming a plant-based diet *and* eating as local as practicable whilst striving to avoid monocultures, cash crops, etc. Exactly. This article is a critique of our food system in general. Thanks to those of you who have given reasonable, thoughtful comments which advance understandings of this complex issue. Ahoopernz, you certainly bring up an important point of view. My point in the blog however, was simply to reveal the ethical complexity of eating and thus to illustrate why protestors are not in a position to judge a school which is trying to teach sustainable, humane farming practices when they themselves are eating diets which rely on killing. The point was not to dictate the perfect global diet. Instead, hopefully my experiences illustrate that by realizing that no diet is perfect, that all diets depend on killing, we can stop identifying ourselves as being “purist,” and begin to advance the discussion without so much holy condemnation of others. Otherwise, yes, a vegan, plant-based diet makes more sense than a CAFO-dependent diet that is also dependent on destructive monocrops, as I alluded to in the blog. Clearly a problem facing Americans and the world at large is a growing excessive consumption of animal products from CAFOs, as I also noted. This is a different issue than acknowledging that mixed crop/livestock farming is simply better suited to many environments here in the US (as well as elsewhere) than monocrops, such as on my rocky, hilly, thin top soil land. Given that, I think we simply have to be flexible and not get overly identified with a diet and insist that everyone else follow it. There may be places where monocrops make the most sense, where mixed livestock and plant agriculture make the most sense, and/or where small or large farms make the most sense. In some cases, veganism makes the most sense, in other cases, it doesn’t. We need flexibility, not rigidity and nobody is in a position to start global planning for the “perfect” diet. I don’t think there is a perfect diet for everyone everywhere and I had to admit that I couldn’t find it. Admitting that is a good start to actually finding solutions. Also, an underlying factor that many non-farmers don’t realize is that most crops are dependent on some level of animal fertilizer. Many, if not most, grocery store grains, vegs, etc. are grown using waste from factory farms (as I said in an earlier comment). Where will all this fertilizer come from if all animal agriculture is eliminated? Yes, cover crops are used, but not always sufficient by themselves, urban food wastes are also good, but not always sufficient nutrient-wise, and chemical fertilizers are destructive to the soil microbiology. This to me is another reason why eating locally from mixed livestock farms that can generate their own fertilizers without CAFOs makes a lot of sense. By its very structure, this necessitates eating less animal products, but it also still means a local vegan diet is dependent on animals being eaten no matter how you cut it. The reality is, that even this is a long way off from happening on a large scale, and it is not helped by vegans slamming any attempts to create a humane, sustainable alternative to CAFOs. Thanks for your thoughtful comment. I have 2 problems with Van Deventer’s otherwise reasoned comments. 1. It is a stretch (or evasion) to equate the killing involved with meat and dairy to that involved with plant agriculture. And to point to plant agriculture’s current dependence on animal products ignores many examples otherwise and the possibility of further moving away from that dependence. 2. 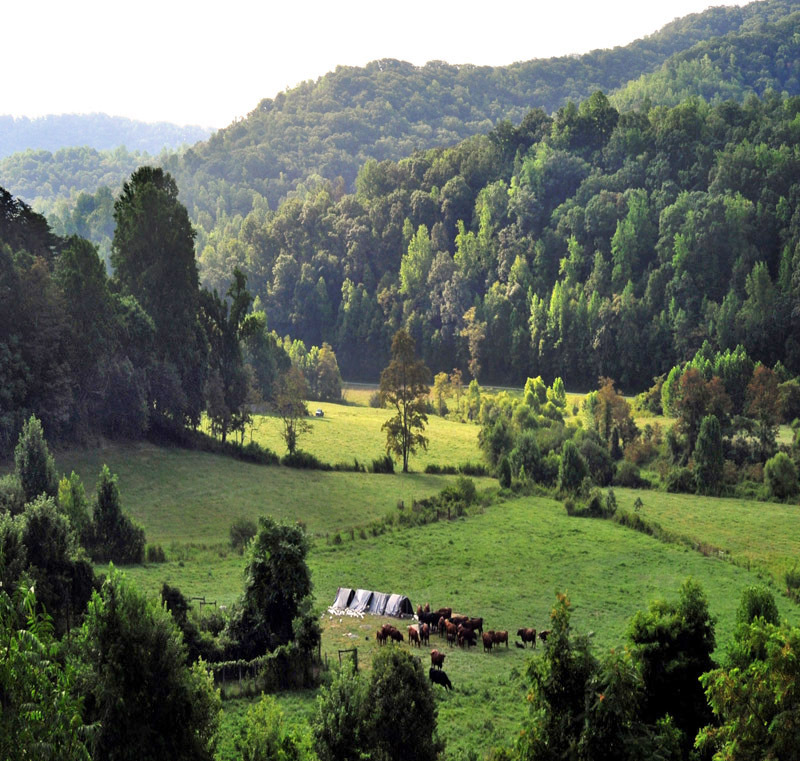 It was the faculty of Green Mountain College who turned a simple plea for mercy and an offer of sanctuary for two beloved hardworking oxen into an attack on the college’s sustainability goals and on all animal agriculture. The pastures I have worked in actually still ARE animal habitats. Deer, coyote, purcupines, myriad birds, many rodents, snakes, abundant insects, and incredible diversity of grassland, shrub, and forest plant life characterize the farms I have visited or worked on where cows, pigs, poultry, and goats are raised. In my area, one simply could not, year-round, eat a plant-based diet in a truly sustainable manner. Vegetables love the soil here, and a large percentage of my diet does come from potatoes, carrots, squash, and nonstarchy vegetables, generally from smaller plots fertilized by manure from those animals I mentioned earlier. The inputs are negligible, and the result is a maintenence of biodiversity and soil health. If not for the animal products in nearly every meal I eat, whether bone broth, tallow, cream, suet, offal, or standard meat, I would indeed have to rely on monocropped products for my health. Starch and phytonutrients and “pairing proteins” don’t cut it, and some quantity of fat is essential, for which concentrated seed oils will not cut it either. I work hard outdoors every day, and when I have tried to reduce animal consumption, my body doesn’t keep up with the work and I start getting sick. With processed plant proteins, tropical oils like coconut, and artificial supplements maybe I’d do alright, but then we’re back to unsustainable. This then leads to the realization- WHY was I trying in the first place? This world has the capacity for an abundance of food, plant and animal alike. The constraints are artificial, political and commercial interests, cultural pressures, resulting in humans living (by choice or force) in unsuited environments like deserts, innapropriate production methods aggressively cornering the market, and the starving lacking access to the incredible amount of food that is wasted every year. Ignorance is the driver; were the populace of my region aware of the incredible potential (sustainable) bounty of the land here, including the many wild foods we have lost cultural familiarity with (acorns have supported whole cultures, but here they rot on the ground), they could tap into that, support distributed local agriculture (which would, indeed be reliant on animals as was the nonhuman ecosystem that preceded it in this climate zone) and stop putting their money into the false economy of foods shipped from elsewhere. “Minimizing animals” in such a revised system, while sentimentally appealing to some, would be simply foolish from an environmental standpoint. Beautifully said, Eric. You bring up many interesting points. One of which is that unlike monocrops, the open space of pasture-based livestock farms indeed allow for wildlife habitat. We have deer, rabbit, raccoons, wild turkeys, ground hogs, possums, six frog species, seven different species of snakes, and many birds on the farm. We make it our job to protect our animals and not kill wildlife. In order to protect crops, however, the planted land has to exclude wildlife or eliminate it. The dietary issue you bring up is interesting as well. Perhaps there are people who do just fine without the fat and protein of animal foods, at least for a while; I discovered I’m not one of them, and I’m not alone. Despite all the fashionable revisionist history, all the evidence reveals that humans evolved eating game as part of their diet so we don’t know if we can even remain healthy over the course of our lives on just plants. On the other hand, our ancestors ate only occasional game–more like grass-fed animals–not grain-fed, confined, drugged, obese animals as a part of almost every meal. This unfortunately represents the norm and is where vegans and pastured livestock farmers advocating an alternative should have something in common. To be clear, my point is that abstracting the real and myriad problems of humanity’s food production to “meat requires more resources and death” simplifies the issue into a sort of mythology, ignorant of the way life on earth works. “Eating fewer/no animal products” is a false solution. “Eating foods that are produced in an ecologically sound manner and in celebration of life (which includes honoring death)” is a solution, and for most of the world in the end that means some degree of eating animals, and in many places more of that than is presently fashionable to suggest. Thanks for your response Elizabeth. I enjoyed the article on Montague. Hi Purslane. My last comment as I’m not interested in engaging in hair splitting over purity. I support veganism and think it has helped human consciousness in seeing animals as more than just appliances for our convenience and disposal. Right now, however, we need more flexibility–PERIOD. Yes, people grow plants without animal wastes, yet right now, lots of plant production uses animal wastes. If we can move away from dependence on animal wastes–great! If we can all evolve to eat just plants, not kill anything and be happy–wonderful. Secondly, I agree with the professor’s sentiments about retiring the oxen. Yet, the reality of this, as I discovered with my own cow, can be a lot worse than a quick death that results in human food, so time is better spent protesting animals suffering their whole lives (in CAFOs). Death is a part of nature; that is life–everything dies to create more life. Reverence for life is a better focus than trying in vain to avoid all death. That is it. The End. I understand what you’re trying to say, but again you exaggerate in the phrase “trying in vain to avoid all death”, which nobody claims to be doing and makes “reverence for life” appear to be a euphemism for seeking death. GMC was not compelled by necessity to kill Bill and Lou, and a lot of people, including many at GMC, wanted to see them live the rest of their lives in retirement. Theirs are deaths that could easily have been (in the case of Lou) or can be (in the case of Bill) avoided. There is more reverence for death in this situation than reverence for life. Thank you for the well-articulated article. I agree in whole! I lived on a small farm as a child, 40 acre oat farm but we also had hogs, chickens, and one steer that we butchered for meat. The only meat I ate came from our livestock, most of my fruits and vegetables from our garden and orchard. The only food we bought ‘in town’ was cereal, bread, and milk since my dad wasn’t great at making bread (fried eggs and fried chicken was about the extent of his culinary skills) and we didn’t have a milk cow. My great uncle had a 500 acre cattle farm in Oklahoma that I spent a few months on as a child as well. His livestock was treated very well, that was money on the hoof, after all! And I once helped nurse an orphaned calf just a couple of days old that was housed in the mud room until she was strong enough to be with the herd after we found her with her dead mother in the back corner of a pasture (I don’t remember exactly but I think coyotes had gotten her mother). I was taught growing up to respect animals, even the animals that I ate. To treat them well and to be thankful for the sustenance they gave me. Because I am so very vocal about animal welfare issues and animal abuse, I have had many friends ask me why I’m not a vegetarian, or have had people assume that I must be one. I tell them that I believe in nature. Nature is my ‘religion’, if you will (I am a pagan). That I do not remove myself from the natural cycles of life and death on this planet. I am part of those cycles. And as you said, everything becomes food, and everything eventually becomes dirt, and thus the cycles begins again. I find it egotistical and arrogant to remove oneself from the natural cycle. To think that you are above and somehow ‘better’ than being part and parcel of those cycles because you don’t eat animals is the same, to me, as being so arrogant as to think that humans are the ‘masters’ of nature, of the planet. We are no masters, we are all part of this planet, we are all part of all things, we are all part of nature. And nature is sometimes cruel and harsh and deadly. But she is always herself. Humans are a predator species, an omnivorous one, but nonetheless predators. We are designed to eat meat as well as vegetation. To try to change our very natures is as unnatural as trying to make a wolf or a bear a strict vegetarian. I am no better than a wolf or a bear, and I will not pretend that because I live in a man-made structure, because I do not live in the middle of a forest, that I am any different in the most basic ways than they are. I respect my planet, I respect and honor all living things on it (although I’m not overly fond of spiders, fleas, ticks, and mosquitoes, I have to admit), and I respect my own place within the natural cycles of it. I am part of nature, not outside of it. Thank you for a well thought out and well written article. Annie, your story, like my own, speaks to the human dilemma of how to hold the sanctity of nature in one hand and a knife in the other. Our society has responded to this dilemma with two extremes. At one extreme, is a desire to honor nature by assuming we can extricate ourselves completely from her interdependent recycling of forms. On the other extreme is destruction of nature based on the assumption that we are separate from and above this web of life and thus dominant over it. Perhaps by simply acknowledging our humble dependence on other life with gratitude, we will learn how to hold balance. Thank you for your touching story. I hope you will continue to share it! I certainly support the notion of buying meat from small farms rather than placing more demand on industrial factory farms. However, based on the limited availability of undeveloped land (and farmers), it is pretty much impossible to give every animal a humane life before it is killed to satisfy the high demand for meat in America and across the world. Therefore the career that I am pursuing as an individual is centered on gearing people’s buying habits towards local farms and influencing their eating habits in ways that would reduce meat consumption. When you think about it, it’s strange that the human diet includes eating other animals when this is not what our bodies were intended to do. We do not have sharp claws or teeth, and without weapons or tools we would be pretty pathetic at our attempts to catch animals. Also, our digestive tracts are way too long – we do not have the short intestines of canines or the ability to cough up pellets like birds of prey. After all, we evolved from apes, who have plant-based diets and only eat meat on very rare occasions – mostly in the form of cannibalism. There are many people, including myself, who are living proof that you do not need to consume any animal products to survive. As for the author’s arguments about the destruction of forests for palm oil and fruits/vegetables, there are many vegetarians and vegans who are aware of these issues and make their food choices wisely. However, these issues are significantly overshadowed by the increasingly massive amounts of land use for cattle and soy crops to feed these animals. Not to mention that the amount of pollution and greenhouse gases emitted from CAFO operations far surpasses that of plant and vegetable farms. All of these data can be found online, just check out the UN report “Livestock’s Long Shadow”. There are many problems in the world, we cannot solve all of them, but at least we can focus on the ones that have the greatest impact on our health, the environment and the welfare of animals. We all have so much to learn and improve upon, but we can only get there by taking small steps. And it is up to each of us to decide what direction our individual steps will take us. Hi Heather, Most research on livestock is based primarily on CAFOs, not pasture-based livestock/mixed crop farms, so it is inaccurate to lump grass-fed livestock raised on pasture in with CAFO-grain-raised livestock–they’re entirely different. This also varies from country to country. If, as you suggest, pasture-based livestock farms cannot fulfill the growing demand for meat, then I’m not clear how veganism will fulfill this demand any better? Mixed livestock/veg crop farms in and of itself will reduce the level of animal products available to eat, will provide fertilizer for plants without relying on animal fertilizer from CAFOs (in the form of poultry litter used to fertilize many vegs/crops sold in grocery stores, such as Lundberg Organic rice), and is far more likely to shift people away from CAFO foods at this time than a completely plant-based diet. At this time, it appears that the most sustainable, local food systems– of which biodynamic farms are a good example– involve animals. Yes, I agree, many vegans are aware of the destructive aspects of tropical, imported foods, more so perhaps than the average meat-eater. Yet the prevalence of palm oil in so many vegan foods implies to me that many vegans are not aware that many plant foods are destructive and so the assumption that “the only problem is meat” is still strongly embedded in the vegetarian eating model. As for your comments concerning our evolutionary diet, there is a lot of hopeful reconstructive history going on to support one diet or another. Chimpanzees, our closest primate relative have larger teeth with heavier enamel than modern humans in order to process tough, uncooked plant foods (leaves, bark, etc.) for their primarily vegetarian diet. Our lack of such teeth could be used to argue that we weren’t designed to be vegetarians? Human teeth are not like primate/cattle vegetarian dentition or “tiger/dog” carnivore dentition. I personally don’t think we can use the primate diet to tell us what to eat today one way or the other. While there is debate as to whether eating meat led to the evolution of larger brains in hominids, there is no debate as to whether we evolved eating meat. Let’s face it, “arrowheads” were not thrown at cabbages; stone tools were not for harvesting berries, and our ancestors would not have had a supplement isle in their grocery store to make up for the lack of nutrients for today’s vegan diet. Wrangham et al. theorizes that cooking food allowed for our dentition to shrink; an interesting possibility. Yet this fact of our meat eating history should not be used to justify our excessive consumption of grain-fed, CAFO animal products any more than a chimp’s diet should be used to justify a vegan diet. The important point is that clearly humans did not evolve eating either animals to the extreme that we do today, nor grains. Relying on grains is a relatively recent phenomena in the larger scheme of human evolution so for many people, a grain-based diet (in the form of grain-fed animals or grains in processed foods) causes a lot of health problems. Either way, I don’t know if we can use early human evolution to support any particular modern diet. Human’s “success” was due to our flexibility and adaptability at surviving in myriad environments and so perhaps that is the greatest model for out diet today. If you can live on a local vegan diet for more than a decade than kudos; go for it. Reading previous comments, some of which are very thoughtful will be helpful and also check out a well researched, but unfortunately snarky book, “The Vegetarian Myth” by Lierre Keith (a vegan for 20 yrs). Best wishes in your quest and thank you for your good intentions. It is obvious that the adaptability possible with tools and cooking was the key to human evolution. That is now irrelevant, as most of us today can choose to forgo eating flesh and it is therefore obviously morally indefensible to continue eating other animals. As for modern health and the environment, it is also clear that a meat-based diet raises more concerns than a meatless one. Finally, calling Lierre Keith’s book well researched betrays van Deventer’s own bias and credulity. How is this obvious? While I respect peoples’ various choices regarding how best to manage the complex ethical minefield at the intersection of food, environment, and personal resources, I don’t believe that any one choice is “obvious”. There are still many people who would not have enough to eat, if they were unable to hunt, and also many subsistence farmers who rely on meat and animal products to survive. Is it more ethical to eat a chicken raised in the back yard, or to use up petroleum to import vegetables from a thousand miles away? Is it more ethical to use fertilizer made from natural gas, or to keep (and slaughter) livestock? None of these are particularly “obvious” decisions, to me. I said that most of us can indeed choose to forgo eating animal flesh. If you choose to eat animals and can not plead necessity, then it can not be morally defensible. You can do so in ways to salve your conscience, but it remains a choice to needlessly kill. It is also obvious that arguments that meat is essential to human health and agriculture are desperate attempts to justify a clearly immoral choice. Hi Purslane. You’re back! Listen, I completely understand your anger about people eating animals. What I’ve tried to explain repeatedly is that I discovered that even if I wasn’t eating animals, I was still eating animals–it was just hidden–or worse, I was contributing to the destruction of thousands of rare animal species and their dense ecosystems. This does not justify factory farming, excessive eating of animal products or any kind of animal abuse. I chose after decades of struggling with this to take personal responsibility for my food and to create an alternative to factory farming that would give hundreds of people a way to move off the CAFO grid and eat locally. In addition, our fruit trees, garden and grass are all fertilized by our animals and so we can avoid using fertilizer from CAFOs. My point in the blog was that animal rights activists should criticize factory farming, not a school trying to teach a better way to farm, raising animals humanely. I had a vegan from Boston come and work on our farm one year (a long story as to why). He use to loan me PETA films for my talks on factory farming. He was really sharp and articulate about the vegan point of view and was very active in protesting animal testing. Yet he saw for himself what joyful lives our animals have on the farm and how much reverence we have for them and the 4 inches of topsoil we had added to our depleted soil using animal wastes/hay. In this real life context, he could then see that reverence for life is perhaps more important than extricating ourselves from our integral part in natural cycles of life and death, and so he went away a different person and at peace with this. This doesn’t mean he’s now anti-vegan or eating at McDonalds, but that all this is different when it is in your face and not on paper or you’re not assuming all farms are like PETA films. Also, don’t get so bent out of shape about my recommending Keith’s book. I very much dislike that she blasts vegetarianism in such a nasty, defensive way and for that reason I am reluctant to recommend it (and probably shouldn’t have here). Yet her willingness to go deeper into this issue and to really break apart how her own eating was dependent on a lot of hidden death was impressive. Unlike Keith, I just don’t think you have to reject veganism so harshly because you see the complexity of the issue. When I am in the city, I often eat at vegan restaurants if the only other restaurants serve CAFO foods. I think veganism is better than eating from factory farms, yet I would still have to admit that many crops and vegs in my meal were created with fertilizer/dead animals from those same farms. If you chose to not eat animals directly, that’s great, and in many situations that is the best choice, but you are still killing and because of this you have to temper your judgments of others and be willing to see that this is not a black and white issue. The problem with being so angry is that it makes it difficult to hear the complexity of what others are tying to say. Who’s angry? I simply find your “complexity” to be nothing but a rationalization of choosing to kill more than necessary. You think continuing to eat meat is — in the complexity of our place on earth — environmentally responsible. I think that’s nonsense. You point to the little critters in the fields and the fact that many plants are grown with animal-produced fertilizer and so throw up your hands and say, “we might as well kill more”. Indeed, we might as well have industrial agriculture and CAFOs. Basically you and I represent 2% of the population arguing with another 2% of the population when the vast, vast majority of people are eating CAFO foods in this country and increasingly elsewhere in the world and the suffering as a result is immense. If it is all simple and clear to you how to resolve this, then great, there is little point in your arguing with me. I have nothing else to say. We’ll end it at that. I read this with an open mind, but I found the arguments and the author’s understanding of veganism to be shallow. Vegans (or at least, most vegans) are well aware that animals die in the farming of plants. You can’t even have a garden and not risk hitting a worm or a snake with your shovel. But veganism doesn’t require us to do the impossible by eliminating death. It requires us to stop exploiting animals, as though they existed for our sake and not as beings in their own right who are entitled to a natural life, and to eliminate their suffering when we can. The idea that not being able to eliminate all death means we shouldn’t eliminate any death is absurd. And the idea that the existence of places where subsistence hunting is necessary for indigenous people lets the rest of us off the hook is also absurd. That’s like saying “But Mom! Tina’s mom lets her drink beer! Why can’t I?” Just because a choice is acceptable in one circumstance doesn’t make it acceptable in another. And clearly, eating animals is not necessary for survival in most of the Western world. It’s about making the most ethical choice in your situation. Moreover, the vegans I know do everything they can to make ethical choices for their plant-based foods. Contrary to the author’s indication, many do boycott palm oil, choose fair trade chocolate, buy local produce… Not perfectly, of course, but by and large they are more conscious of these issues than most people. In the grand scheme of things, is humanely-raised meat ethically better than factory farmed meat? Yes. But the most ethical choice of all is to stop snuffing out innocent lives for the selfish pleasure of our bellies. In the grand scheme of things, where does a vegan or non-vegan draw the line? Using a car or a refrigerator is not a necessity of life. Yet I know of few people of all food choices that choose to forego these. Why is this relevant? It is relevant because over 85% of sheet metal is manufactured using lubricants made from rendered animal fat. How many degrees of separation from the consumption of animals are ethically acceptable or in the views of some of these discussions’ participants, required? Wearing leather as a by product of beef production is unacceptable to many. One step away from that is the use of steel that is manufactured with a beef processing by product. It would be a significant inconvenience for anyone to eschew the direct use of sheet steel in their lives but if someone wants to “stop snuffing out innocent lives for the selfish pleasure of our bellies”, I would think that the selfish convenience of a car or refrigerator should also be avoided. So I ask who decides what the morally acceptable level of animal consumption, directly or indirectly, is the most ethical choice? And who do they decide it for? Again, as Kasey wrote, most vegans are well aware that animal byproducts are part of almost everything in our lives. We all do what we can. As to concentrating on diet, animal byproducts are ubiquitous because they are cheap because animal slaughter is nonstop. By cutting out meat and dairy, or even by reducing our consumption, we are taking a step toward forcing alternatives to animal-based glues, lubricants, chemicals, etc. Your criticism seems a bit like denigrating a christian because he doesn’t give away all his possessions and live in the desert. The goal for those who do not forsake the world, however, is simply to choose the kinder alternative when a choice is possible. My apologies if anyone felt denigrated. I was trying to see where the line is since the criteria referenced was “selfish pleasure”. What is a selfish pleasure? What degree of selfishness is allowed? It appeared to me that KASEY provided a specific absolute that the consumption of animals for food is a selfish pleasure. If that is the case where is the complete rule set off what is selfish and what is not? Who decides that? I think wanton killing and lack of respect for anything living or of value to anyone or anything is wrong. Other than that who am I to judge someone if they respect all things and strive to behave in a manner that reflects those beliefs? Who is anyone? So many people discussing this appear earnest, thoughtful and caring but when the original authors observations are skewered it seems some of the responses are lacking . In any case I hope everyone here is well and safe. I’m not so sure about refrigerators, as they prevent a lot of food wastage. The alternative would necessarily entail more environmental degradation and animal suffering, in producing even more food than we already do, only to see even more of it go to waste (you may have seen the articles in the last week giving an estimate of 50% of the world’s total food production already being wasted). I think it’s unfortunate that the term ‘selfish pleasure’ was used, but then again, perhaps not, because your response is good food for thought for the commenter, and might help better their understanding. We would all do well to look at our own blind spots more often. 1. The production of said products (cars, refrigerators) probably doesn’t absolutely depend on the use of these animal *byproducts*, even though that is the way these goods currently are produced. I doubt that they are absolute requirements of the production process for which no substitutes exist. And let’s remember that the meat and dairy industry have been very effective at creating uses for various parts of animals’ bodies and promoting them to industry. If totally animal-free alternatives existed, vegans would use them. 2. I would distinguish between an occasional purchase of a large capital good (for which there are not yet animal-free replacements available, as per point #1), and nourishing ourselves using the very lives of animals on a much more frequent basis. Of course, neither of these can be considered a valid response to the “selfish pleasure” accusation, so your point stands. It is said that “the perfect is the enemy of the good”, and I think in the case of veganism this is quite apt. Anybody trying to be literally 100% vegan would find themselves leading such a difficult life that it would be offputting for anybody else considering doing the same. The net effects of their personal purity quest would clearly be negative for all concerned. I am aware that endorsing the use of animal byproducts in some situations is not strictly vegan, but then neither am I! Greg, your comment is something vegans everywhere should think on. I do think more people need to forego cars (as indicated by my avatar!). In fact, I’d love it if *most* people would do so, as they’re probably one of the most environmentally destructive purchases/activity most people participate in on a regular basis. However, I think there’s a sound and vaguely utilitarian argument for refrigerators; they prevent food spoilage and waste, and although most of us probably eat more than we absolutely need to, allowing good food to go to waste necessarily entails more food production with all attendant environmental degradation and animal suffering (unquestionably more than that “caused” by use of an animal byproduct of the meat industry). Not everyone has the “luxury” of living without a car (amazing, isn’t it, that living without what is considered a luxury for 4 billion or so of the world’s inhabitants is considered a luxury in the upside-down rich world), but I find it disappointing when self-proclaimed vegans or environmentalists drive their cars everywhere or regularly take air journeys. I simply can’t take them seriously anymore. And I think that’s a great shortcoming of veganism that the original post above challenges – the idea that if you avoid animal products you’re doing well by the world and the animals. I don’t think this negates veganism as a philosophy though, but it shows that the rational underpinnings are about as subjective and open to interpretation as any other worldview, and that in my experience most of us interpret our own ethics with a great deal of flexibility. 1. These consumer products such as cars and refrigerators (all products containing steel?) that currently use small amounts of animal byproducts in their production are highly unlikely to have an absolute requirement to do so. Alternative means of production could be employed, and as your 85% figure implies, 15% of steel is non-animal-based. If vegans could reliably purchase animal-free alternatives, they would. And we must keep in mind that the animal products industry has been very successful at monetising their waste stream (an admirable goal, no less), and if there were not such large quantities of animal bits going cheap due to the immense animal products industry then producers of these products would use other, more economic means in their production. The glut of animal byproducts skews the economics of production for a wide range of products. And finally, if animal-free versions of these products existed, vegans would purchase them. 2. The (normally very) occasional purchase of a consumer good that used some animal byproducts in its production and where animal-free alternatives do not yet exist, is substantively different to nourishing oneself by way of the very bodies and lives of animals on a regular (often daily) basis. Of course neither of those let us off the hook if the “selfish pleasures” accusation is turned back at vegans! I just wanted to highlight that there are some grounds for distinguishing. And I know that excusing some animal byproducts for the sake of convenience goes against the literal expression of the vegan philosophy, but most practising vegans learnt long ago that it was an ideal and not one that it is possible to realise at this point in time. It is said that “the perfect is the enemy of the good”, and this is apt in regards to veganism, because were it necessary to be 100% vegan the difficulty would be so great as to ensure nobody ever even attempted it. As far as I am aware there is no current alternative to sheet steel manufacturing in amounts large enough to make cars, refrigerators, etc that can use synthetic/petro lubricants. The pressure and heat cause the lubricant to break down and this creates toxic effluent and gas when synthetics are used. I also believe that Toyota refers to their manufacturing processes not the suppliers and supplies they use. much like ford states that some of their vehicles are manufactured in the US when 78% of the manufacture used to occur in Mexico. I think anyone who has a strong belief and follows them are admirable as long as they respect others. When someone decides a choice I or anyone else makes based on our beliefs is selfish I try to point out the narrowness of the viewpoint. I’ve also found some vague references that imply that plant-based tallow is also employed in this application. Kasey, you stated precisely what I was thinking while reading this article! I, too tried very hard to keep an open mind, and many good, thought-provoking points were made, but you summed up the main problem with this article when you said “The idea that not being able to eliminate all death means we shouldn’t eliminate any death is absurd.” Exactly!!!! Absurd!!!! Scanning through the comments, I was astonished to find that just about every person who chose to leave a response praised the article. I thought I was taking crazy pills! Thank you for speaking up, and you are certainly not alone ! Veganism is all about doing your best to make ethical choices and eliminate as much suffering and death as possible. I also agree that vegans seem to often be the same people who are aware of and choose to boycott products containing palm oil, because we are constantly learning and striving to make better and better choices! That’s the whole point! To say that that is pointless is absolutely ridiculous, as is claiming to love animals and acknowledge that they feel pain and emotion, and then turn around and say it’s completely ethical and acceptable to slaughter them, because it’s the best option. Rock on, Kasey! Actually, it’s not entirely correct to say that if vegans could purchase animal-free cars and fridges they would – the Toyota Prius and at least one or two other cars are actually technically vegan, and yet many vegans drive other cars than these. I recently reviewed Simon Fairlie’s book Meat. It’s a book that might be useful for you. Fairlie believes that feeding grain to livestock is dumb, and people in the temporary prosperity bubble need to cut back sharply on their consumption of animal foods. But animal foods produced in a natural way are not unethical. The guy is a hard-core thinker and researcher. Thanks Richard. I’ll definitely check it out! Excellent post, very well written. I had a simliar evolution in my farming experience- from realizations about culturally valuable meat eating to giving up bananas based on their global, political and ecological ramifications. I now raise roosters and hens to provide meat and eggs to my community, and love getting people excited about eating “the meat we used to eat”. I was riveted by your writing! As a traditional educated agriculture economist with and BS and MS before the word sustainable became part of agriculture’s lexicon I was thrilled by your logic of the consequences of humans on our global environment you presented. I agree with you wholeheartedly on ethics in the various production systems available for farmers to choose from. I, have witnessed much of what you speak of but only in our country as I’ve not traveled globally.. Sustainable agriculture has a measure of ethics which need to be addressed when farms do not handle the land or animals ethically. Sadly, I have seen too many of these farms. Like you we raise beef as you do on a much larger scale in Texas. We intended to be grass fed but the massive drought in 2011 made us rethink our position. The livelihood and health of our animals meant choosing an All Natural protocol. We have the option of using grain if we need to. We place great emphasis on carcass quality and have decided to use Red Wagyu in the last year to be crossed on our F1 Lowline/Santa Gertrudis and Lowline/Longhorn heifers as the terminal cross. Red Wagyu perform much better on grass then their black counterparts. We are hoping for more fat cover to allow our beef to hang longer improving taste and tenderness. We are also seedstock producers of Lowline Angus, chosen for the more moderate size and high efficiency in the pasture. We see the future down the road by choosing Lowlines. As an economist and understanding the challenge for agriculture is to produce more as the world’s population explodes to over 9 billion people by 2050. The Lowline is destine to become the paradigm shift in beef production. This breed will return the size of a cow to the more efficient 1100-1200 lb cow in one generation which consumes less and still weans a calf between 50 and 60% of her body weight.. One can have as high as a 2/1 stocking rate thus increasing the number of pounds produced per acre. I truly believe part of sustainable beef production is moving from number of head produced per acre to lbs per acre produced in a given year. We can’t do it with the 1400-1600 lb cow who needs more grass to keep her from one year to the next in comparison to the 1100 lb cow who is highly efficient. We have a increase 1.5 stocking rate in our pastures. Yet the best part of using Lowlines on our heifers is I don’t worry about having to pull a calf! One more plus in ethics of caring for my cattle. Your post sent to me by a close friend involved in sustainable agriculture has made me a committed follower now. Thank you again! Enjoyed the piece – thoughtful and heartfelt. My cards: I eat meat, but try very, very hard to only eat meat raised on Demeter farms here in Germany (thus, biodynamic organic farms, closed circle of inputs, animals treated about as well as anywhere where they are later to be eaten). I agree immensely with the notion that many (often animal rights activists and vegans) come across a bit naive about the death and environmental consequences involved in their eating choices. Which is to say it is all much more complicated than a simply black/white discussion. That being said, what I find at times a tad frustrating in arguments such as yours is that they seem to downplay (or at least give some skeptics fuel for downplaying) the fact that much, much greater amounts of death (and environmental chaos) result from meat consumption as currently occurring than a vegetarian or vegan diet. Sure, at that point when we limit our animal product consumption to beef pastured on land too steep or infertile for sound agriculture, and to pork from pigs fed on scraps not otherwise eligible for feeding people and to eating poultry as the luxury it is (given the time and money to get a pleasantly raised fowl to weight), AND to only eating animal products at a level that could be sustainably enjoyed by people throughout the world, then – and only then – can we begin to claim a reasonable ethical and environmental scorecard in our consumption of animal products. I do not know that you think anything different, but I feel these ideas need to be made explicit. And then having that life cut violently short. For the enjoyment of meat eaters. Only increasing the animals’ gratitude, no doubt. I’m not sure what “violent” means here — Elizabeth’s animals are killed instantly. Hard to imagine an animal being grateful to people for arguing they never be born just because they were going to die. What could be more violent than killing another being well before the time of its natural death? And it is even harder to image an animal being grateful to people for arguing that they must kill it to justify its life. Hi Michael, Thanks for your comment. I received a similar comment to yours from “ahoopernez” Dec 11th, I think? about mid-way through the section, which I already responded to. Check it out my reply there as I think we’re on the same page here. I am often reluctant to bring up this argument because people sometimes misunderstand it as supporting factory farming or as an anti-vegan argument, etc. Seems hard for people to not fold out into camps on this issue. Also, for readers in general, a lot of the questions/comments are starting to repeat at this point because people don’t feel like reading all the comments. Understandable. Some people clearly aren’t even reading the blog itself. So nice of you to reply. Indeed, I read about half the comments and responses and did not get to the one you referenced (!!). Although reading the comment and your response, I probably still would have chimed in (its my nature), although in that thread. Can’t agree strongly enough that the topic is too polarized. Too much interest in vindicating one’s own belief systems and preferences than in a willingness to openly ask what assumptions are at play and own up to the various consequences of our choices in an informed manner. Good luck with your farm. Amazingly well written no matter what anyone says otherwise, brilliant, moving, consistent and certinly an eye opener! Thank you. So glad it was thought-provoking. Globalization will lead to the extinction of us all. Thank you so much for such an informative and helpful article. I as a teenager have grown up in a family of hunters (I’ve never hunted myself) and the last few years my passion for wildlife and animal conservation has grown very strong, and I hope to pursue it as a career. I’ve been starting to have issues of guilt about whether I’m being a hypocrite by eating meat yet still caring about the future of wild animal populations. I’m still trying to figure out my stance but this article has definitely opened my eyes. I have been aware about the Orangutan populations suffering deforestation from Palm Oil plantations in Borneo for a long time, but I can’t seem to escape palm oil!! Do you still eat products with palm oil? It makes me very guilty, but it seems like it’s in everything I pick up at the store. But I feel like the real answer doesn’t mean that we should just altogether stop eating palm oil (because it will be next to impossible to just tell people to stop eating all their favorite products because of palm oil, even after they know the fate of orangutans, because sadly, not everyone will care). I think it lies in the government of Borneo to become more organized and regulate their production of the plants, as well as food companies regulating the amount they put it, because do SO MANY of these foods really need palm oil? Borneo should also take advantage of their eco-tourism for wild orangutans. I’m always surprised how many people, vegans and non-vegans included have no clue about things like palm oil and other products that are harming the environment, but I admit, there’s probably things I’m not aware of as well. Thank you, Prairie One. Does loving animals and hunting make you a hypocrite? Great question! It seems to me that in many cases, hunting a deer in the woods near your home is less hypocritical than loving animals and eating palm oil in peanut butter, or Dole pineapples grown on burned down rainforest, or organic rice/ vegetables grown with chicken feathers, feces and carcasses from chickens raised in factory farms here in the US. Many if not most vegetables/grains sold in grocery stores rely on chicken factories to produce their crops, yet who thinks about that when they eat those foods? At least you are not fooling yourself into thinking you are not dependent on other life to live. You take full responsibility for your action, you can see the direct consequences, and the outcome. Does this mean we should support all hunting, or killing rare and endangered species, or advocating that all of Manhattan go into the woods and shoot deer–NO! As for avoiding palm oil, yes, if you are willing, you can avoid it. It is only recently that so many processed food companies added palm oil to their ingredient list. You can find peanut butter, chocolate, crackers, bread, cereal, etc. that do not have palm oil in them. You have to look really hard and probably pay more. There are whole websites devoted to this topic. Many of those countries where palm oil is produced have corrupt governments, a lot of poverty, population pressure, years of subjugation from Western empires, etc. They cannot be completely relied upon to stop the destruction. We as wealthy consumers have to do our part. We can also support the many fabulous rainforest conservation organizations out there such as RAN. I applaud you for wanting to work in animal conservation. Best of luck! Thank you. Can’t go wrong with beans. I least not that I’m aware of, yet! This article is very open minded and well thought out. Thank you for writing something so enlightening and intelligent. As a meat eater, but someone who is disgusted by the inhumane treatment in meat factories, I too thought about a no-meat option. It’s amazing when people see the other side to things and point it out so plainly. I feel like these conclusions should be obvious, but hardly anyone thinks of what it takes to grow fruits and vegetable in mass quantities (myself included). Your observations about about why many people are misguided vegetarians and your choice to start a humane farm are admirable and commendable. It’s clear that you truly care about the individual animals on your farm and the land that sustains them. I will certainly spread your wise words onto the next conversation I run into on this subject. I really enjoyed your beautifully written blog. Since returning to a vegetarian diet four years ago, I’ve thought long and hard about the impact of my food choices. I’ve basically come to the same conclusion as you: No matter what I eat, other living things have to die. It’s a reality I continue to wrestle with and remain as conscious and flexible about as I can. Ultimately, I of course want to live, but like many of your readers, I want to cause the least amount of suffering as possible for other living beings in the process. What prevents me from making a meat a regular part of my diet again are two points that warrant more debate: scale (you touch on this) and greed (not mentioned; you can only cover so much in one essay). If the average human that needed (or chose) to eat animal protein did so just once or twice a week, then maybe, possibly, we could produce that meat in a humane and sustainable way. But that is not the case. The meat industry has been very clever at convincing the average American that eating meat once or twice a day is optimal. Here in Australia, meat producers have taken it a step further, enticing and encouraging the development of a meat industry in countries such as Indonesia, to which we ship live animals under horrendous conditions to meet a horrendous end. Eat lots of meat and you’ll be a big, strong, rich Westerner, seems to be the message. Thus beef, particularly, has becomes a status symbol in some of these developing countries. This type of manipulation is all about corporate profit and greed. On an individual level, there is plenty of greed as well, of course, by those who treat meat not as a luxury nutrient to be thankful for, but as something to be consumed thoughtlessly, as their right. All that said, Jonathan Safran rightly points out that we’re unlikely as a species to stop eating meat. But, he argues, think about how things would look if we reduced consumption by half. That would immediately halve animal suffering and halve the associated environmental destruction and contamination we cause by raising animals for food. Personally, the former point may be the most important, for it’s not the killing of an animal so that others may live that bothers me as much as the “production” of them in the first place. Billions and billions of conscious animal lives come into being every year at our hand, for the pure sake of our consumption. That’s the scale side of things that I simply can’t accept, and I’m afraid I don’t buy the argument that at least they get some kind of life in return. Most recently, I’m very excited about the prospect of meat produced from cells in a laboratory. It seems like scientists are very close to making this a marketable reality. No damage to the environment, no growth hormones or antibiotics to consume and zero animal suffering. There is nothing not to like about this revolutionary way of producing and eating food. We don’t have a clue how the stuff affects our health in the long run. Maybe better than meat, maybe not, but it’s hard to like the fact that we have no idea. It assumes that the economic interests of synthetic food corporations will do right by us as we go forward. It assumes that government can be trusted to ensure the safety of new food types. It would reduce the number of farms like Elizabeth’s, which improve the landscape, provide comfortable lives to livestock, and keep food dollars local. I don’t agree with any of this, I’m sorry. We eat stuff every day without fully understanding the health implications, and a ton of it is processed by “synthetic food corporations.” We already trust the government to ensure the safety of new food types, hence the FDA. And I doubt very much that the addition of lab meat to the market would reduce farms like Elizabeth’s… There will always be a contingent of people who want the “real” thing. For the masses, lab meat is a great alternative to factory farms and the suffering they produce. Thank you. I will repeat from my earlier responses. I agree that we should not eat any meat, or eggs and dairy–which often get left out of this conversation and implicate vegetarians as well–from animals raised in the way you describe/ or from any factory farms. The point of this essay is simply to explain my own dilemma with food, and in so doing, reveal the very black and white frame within which this food debate is typically cast. My entire point in having the farm, and writing about this, is to have an alternative to that very madness you describe. If animals cannot be raised in a sustainable, humane way, than most obviously, they shouldn’t be raised for food at all. Yet the madness extends to plant production too. So rather than framing the choices as meat vs vegetarian, I think you have to look at each food in your specific context, especially once you admit that you are killing no matter what you eat. Some 98% of meat/dairy/egg production in this country is inhumane and unsustainable. So this makes it difficult to raise any intelligent discussion about this issue without it being distorted as an argument supporting all meat production. I’ve spent years advocating against factory farming and I will continue to do so. I am glad for the vegan alternative. Given that a large percentage of the population still eats at McDonald’s, perhaps introducing any gray area into the discussion is just too confusing for most people. Best of luck to you! Just to clarify, I don’t for one second think you’re advocating all meat production, and might I add that I don’t judge people who eat meat that has been raised and killed as humanely as possible — I’m just not sure I, personally, can eat even that kind of meat anymore. I can appreciate the subtleties you’ve introduced about the dilemmas of eating vegetables proteins, dairy, etc. As I mentioned, I relate to them and think about them. Your essay is an important one and who knows… maybe it will affect a few of the Mackers eaters in a positive way. I hope so. Thank you for clarifying, Susan. I do appreciate your decision to just not eat any meat, no matter how humane, and I appreciate your willingness to see all sides. I would like to clarify something again for the general sake of other readers. What I find interesting in these discussions, especially having been a vegetarian myself, is that the focus is on avoding meat, and NOT eggs, dairy, or the vast majority of organic and non-organic vegetables and grains sold in US grocery stores that rely on factory farmed chicken litter (feces, feathers, some carcasses, bone meal) to fertilize their fields. This is rarely recognized. This focus on “meat only” implies to me that people really don’t understand agriculture, the food web, and the reality that most food production is reliant on animals somewhere in the process. I discovered some time ago, that one very popular brand of organic rice sold here in the U.S. struggles with the problem of arsenic in their soils. When I researched it, I realized that it contained arsenic because they used chicken litter to fertilize their fields. Factory farmed chickens are given arsenic as an appetite stimulant. Yet, who is going to say: “I will give up organic rice to save the animals, by God!”? Probably no one, because this is relatively unknown. Some will say, well then just don’t use chicken litter for fertilizer, but the reality is that cover crops do not apparently contain all the necessary nutrients to grow crops without eventually depleting the soil and chemical fertilizers ultimately deplete the soil. In the case of dairy and eggs, ironically it is beef cattle and broiler chickens who have the better lives relative to laying hens and dairy cattle. AND, laying hens and dairy cattle–producing eggs, yogurt, ice cream, etc.–will, when they are done producing these foods, end up as meat. Most fast-food hamburger is from dairy cows. Chicken soup comes from spent laying hens. Then there are the exotic fruits which mean burnt-down rainforest and loss of Native land to mega-corporations. On a local level, most vegetable farmers who work on any kind of scale (i.e. producing more than as a hobby for a few people), eventually use animal fertilizers, or burn out the soil with chemicals. So it is not so easy to remove oneself from animals in food. This is not an excuse to throw in the towel and just eat all meat too, but to say that just giving up meat does not solve the problem. Instead, getting out of the black and white “meat vs. veggies” debate allows us to look at each food to consider its relative ethics toward animals. Yes, a vegan in California can perhaps avoid all this, but that excludes a lot of people. Most vegetarians will simply assume that since they are not eating meat, they are extricated from the mess, and they are not. So given that, having an alternative to the madness of factory farms, to me, seems like a positive move, if imperfect. What is more important to me, at this time, is eliminating/reducing animal suffering more so than any animal death. Thank you for taking the time to read this.